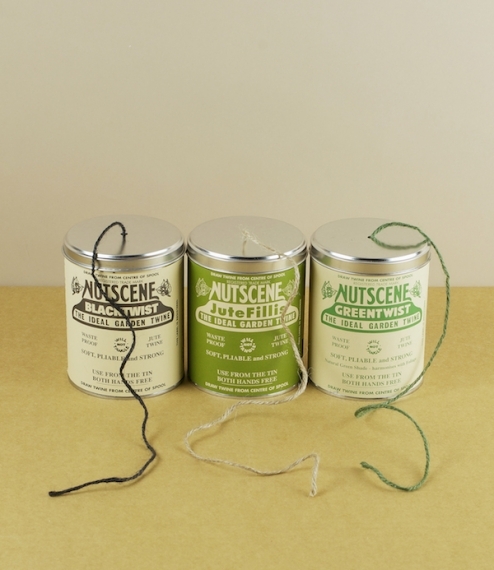 The famous and original tin of twine from the Nutscene company of Angus, Scotland. The twine is 3 ply jute in a centre pull spool of about 150 meters, and is still manufactured on the original machinery installed at their Breahead Works in 1922 - a time when almost all the worlds jute passed through the mills of nearby Dundee. The tin prevents tangles, keeps the twine dry, and allows one handed drawing of lengths, all a bonus when wrestling unruly vegetation.